Postcard showing 'A World's Record. One Third of a Mile of Iron and Steel in Two Ships. 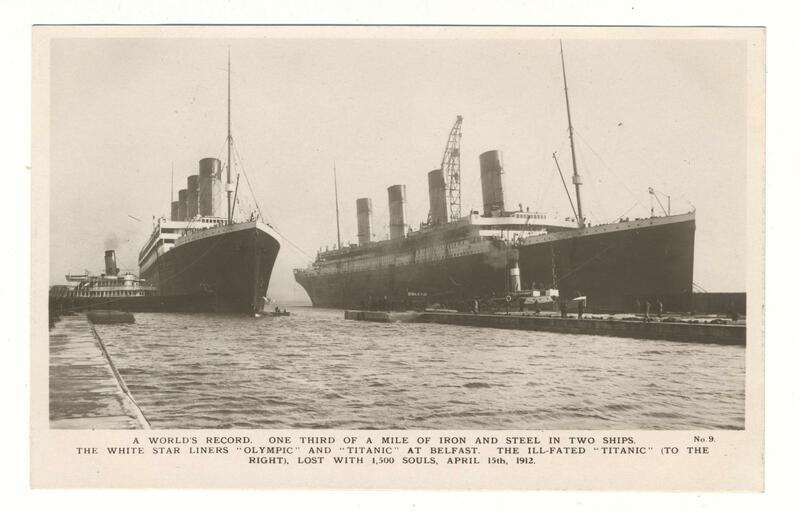 The White Star Liners "Olympic" and "Titanic" at Belfast.' The Ill-Fated "Titanic" (To the right), lost with 1,500 souls, April 15th 1912. Real Photo Series, No.9.